Indoor Psychotropic Mass will require a proper supplementation of nutrients for its maximum production and expression of medicinal capabilities. 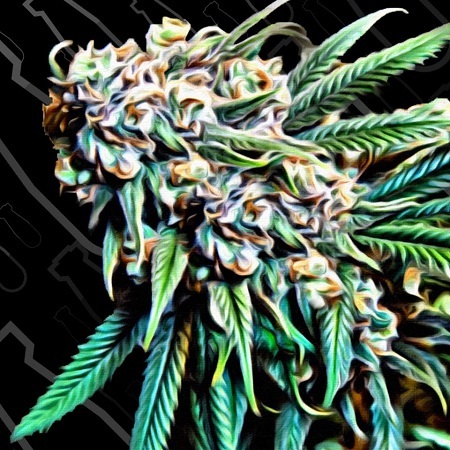 Psychotropic Mass Feminized Marijuana Seeds by Critical Mass Collective Seeds: Indoor Psychotropic Mass will require a proper supplementation of nutrients for its maximum production and expression of medicinal capabilities. Outdoor, good specimens will require supports for stability and maximum sun exposure for optimal production of CBD. It's perfectly suited to the SOG method when packed together and as with the Monster Mass responds very well to the FIM super cropping method. Pinching out the new growth at an early stage to onset the growth of multiple colas and then introducing LST to manipulate its growing structure will yield astounding results. It maintains its initial vegetative structure like a typical Sativa with thin leaflets and thin stems but when in bloom it exhibits accelerated speed and explosive growth in the production of dense and heavy flower clusters. Psychotropic Mass demonstrates high and low internodal branching, so large specimens require the pruning of surplus branches to manage space efficiently.